NEW YORK, Aug. 15, 2011 /PRNewswire/ -- BET Networks honors the legacy of the civil rights pioneer Martin Luther King, Jr., with a special day of programming on BET and CENTRIC in celebration of the unveiling of the Martin Luther King, Jr. National Memorial in Washington, D.C. on Sunday, August 28. 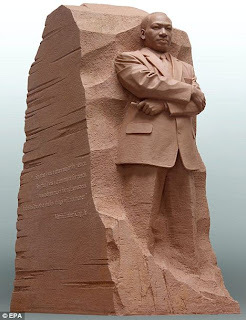 "BET Networks is truly honored to be a partner with the Martin Luther King, Jr. National Memorial Project Foundation and support such an important moment for our country, and especially for African-Americans," said Debra L. Lee, Chairman and CEO of BET Networks. "We are proud to honor his legacy and dedicate an entire day to this on BET and CENTRIC." "The Martin Luther King, Jr. National Memorial Foundation is humbled and honored to have the support and commitment of BET Networks to make sure the Memorial and dedication week reflect the dignity and inspiration of Dr. King's legacy," said Harry E. Johnson Sr., President and CEO of the Martin Luther King, Jr. National Memorial Project Foundation, Inc. Announced during NABJ Annual Conference in Philadelphia, BET News will premiere two new compelling half-hour specials during BET's MLK lineup: ALPHA MAN: THE BROTHERHOOD OF MLK and MICHELLE OBAMA ON A MISSION: IMPACT AFRICA. ALPHA MAN: THE BROTHERHOOD OF MLK is a character driven television news special that traces the lineage of King's role in the Alpha Phi Alpha Fraternity, Inc. during his time as a young graduate student in divinity school in Boston. It also tells the story of how years later his fraternity brothers beat the odds to help make his National Memorial a reality. Featuring never-before-seen footage and first person accounts of King's life as a 23-year old divinity student in Boston, actor Hill Harper takes viewers through the compelling account of King's iconic rise from a 1952 Alpha pledgee to Nobel Prize-winner and leading civil rights pioneer whose impact is still felt today. Immediately following is the premiere of MICHELLE OBAMA ON A MISSION: IMPACT AFRICA at 7:30 p.m.* that captures the First Lady's inspiring international journey to South Africa and Botswana. Told from the point of view of both the First Lady and the communities she visited in Africa, MICHELLE OBAMA ON A MISSION: IMPACT AFRICA features exclusive up close and personal footage of Mrs. Obama's historic visit as she spreads a message of unity and hope. Seasoned Nigerian-American journalist and former CNN reporter Lola Ogunnaike serves as narrator and on-air correspondent for MICHELLE OBAMA ON A MISSION: IMPACT AFRICA. In addition to these two original News specials, BET will commemorate the MLK Memorial Day with the following programs beginning at 9:00 a.m.* with LIFT EVERY VOICE; followed by KING miniseries at 9:30 a.m.*; MLK MEMORIAL DEDICATION WITH PRESIDENT OBAMA at 12:00 p.m.* (Live and Commercial-free); KING miniseries (continued) at 1:00 p.m.*; ALPHA MAN: THE BROTHERHOOD OF MLK at 7:00 p.m.* (encore at 11:30 p.m.*); MICHELLE OBAMA ON A MISSION: IMPACT AFRICA at 7:30 p.m.* (encore at 11:30 p.m.*); and, a brand new episode of SUNDAY BEST at 8:00 p.m.* (encore at 9:00 p.m.*). The Network will also air six "MLK Moments" interstitials featuring personal testimonials on the MLK Memorial from the cast of BET's REED BETWEEN THE LINES, Tracee Ellis Ross, Malcolm-Jamal Warner, Anna Maria Horsford and Melissa De Sousa, as well as fashion mogul Tommy Hilfiger and BET Networks CEO Debra Lee. 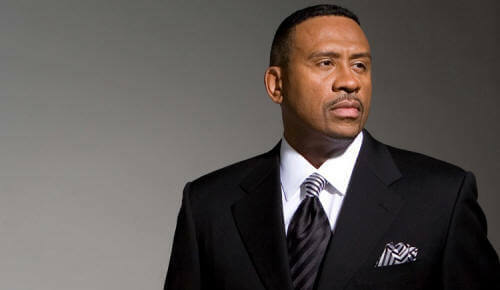 ALPHA MAN: THE BROTHERHOOD OF MLK is produced by Rainforest Films exclusively for BET Networks. Hill Harper and Dianne Ashford serve as producers for this special with director Rob Hardy and Will Packer as executive producers. MICHELLE OBAMA ON A MISSION: IMPACT AFRICA is produced by the Public Affairs Media Group. James Blue serves as executive producer. Log on to BET.com/News for exclusive video content, up-to-date coverage and compelling specials. With frequent updates on a wide array of topics including politics, finance, entertainment and more -- BET.com/News is your destination for the latest in and around the country.